Maya Ray -What is Rolfing? Named after it's founder, Ida P. Rolf, Rolfing® Structural Integration is a form of hands-on bodywork and movement education that reorganizes and balances the body by lengthening and repositioning the connective tissues, called fascia, that permeate the entire body. Rolfers recognize that the body is inherently a system of seamless networks of tissues rather than a collection of separate parts. These connective tissues surround, support, and penetrate all the muscles, bones, organs, and nerves. Rolfers manipulate this web-like system of connective tissues to release, realign and balance the whole body, thus potentially resolving discomfort, reducing compensations and alleviating pain. Rolfing restores the body to a balanced state that allows you to be more comfortable moving in your daily life. Rolfing sessions are 75-90 minutes. During our first session, we will spend some time going over your health history and your goals for our work together. 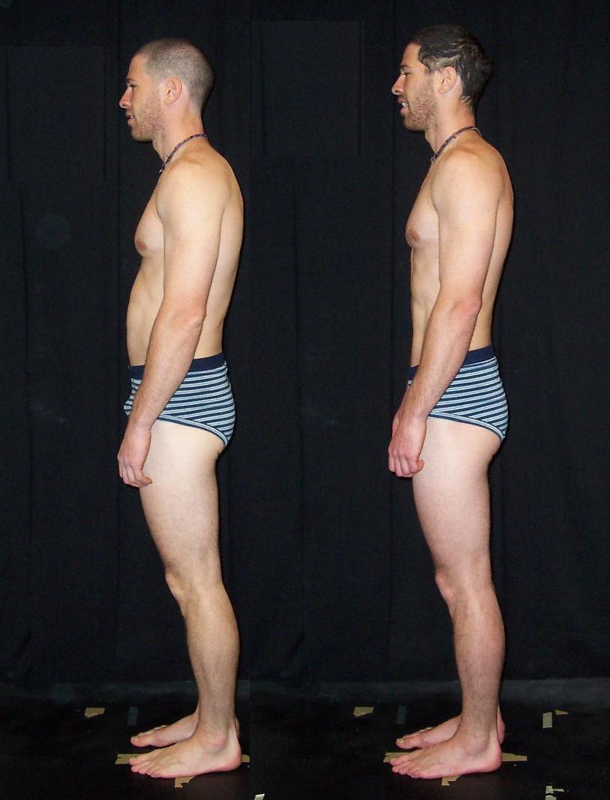 After we had some time to chat, I will asses your alignment and movement patterns in both standing and walking. I’m looking to see where your body is balanced and where you have compensatory patterns and tissue adhesions that are potentially causing problems. Most of the session will take place on a massage table. Rolfing is never painful but can be intense (in a hurts so good type of way) at times. At times, I will ask you to make small movements to facilitate a change in the connective tissues. There will be some work done in a seated or standing position. Rolfing attire for men and women is generally underwear or loose fitting gym/yoga clothes. It’s important that I have access to your skin but more important that you feel comfortable on the table. Human bodies are incredibly resilient and adaptable. Your tissues literally change their shape to accommodate your daily activities, movement patterns, and the injuries you’ve sustained over a lifetime. As your body adapts to these forces, your connective tissues can get pretty lopsided. As one area shortens, then another area lengthens to compensate….. ultimately losing elasticity. These compensatory patterns can exhaust your body, put strain on your joints, and cause pain. Imagine a sweater: It’s essentially one long piece of wool woven together. If you have a snag in the sweater, the whole structure changes. The snag could be down at the hip, but the pulled strings can create a change in the body of the sweater or even all the way up at the shoulder. Even though the shoulder looks funny, the only way to bring the sweater back to it’s original shape is to re balance the strings from the shoulder all the way down to the hip…and then fix the original snag at the hip. Our bodies are the similar. The pain we experience is often calling attention to a pull somewhere else in our fascial net. Working on tissues that hurt is important but won’t solve the problem. Rolfers explore the connections between different areas in the body that are affecting each other and are able to unwind the tissue patterns that are causing problems. This creates lasting change in the body. Some individuals may perceive their losing fight with gravity as a sharp pain in their back, others as the unflattering contour of their body, others as constant fatigue, yet others as an unrelentingly threatening environment. Those over forty may call it old age. And yet all these signals may be pointing to a single problem so prominent in their own structure, as well as others, that it has been ignored: they are off balance, they are at war with gravity. The hallmark of Rolfing Structural Integration is the Ten-Series, the goal of which is to systematically balance and optimize both the structure and function of the entire body over the course of ten Rolfing sessions. Each session focuses on freeing restrictions or holdings trapped in a particular region of the body. Called the "sleeve” sessions, numbers one through three aim to loosen and balance surface layers of connective tissue. The first session is devoted to enhancing the quality of breath by working on the arms, ribcage and diaphragm. This session begins to address the upper leg, hamstrings, neck and spine as well. The second session helps give the body more support by balancing the foot and muscles of the lower leg. Number three typically involves a side lying position with the goal to balance the head, shoulder girdle, and hips in relation to one another. Four through seven are referred to as “core” sessions and work on some of the deeper structures of the body. Session four explores the territory of the inner leg from arch of the foot to the bottom of the pelvis, thus starting to balance the pelvic floor. The fifth session is concerned with balancing the front of the body, the abdominals, the psoas muscles, and the hip flexors. Session six address the back of the body and builds more support and movement from the legs, pelvis, and lower back. The seventh session addresses the deeper structures of the neck and head. “Integration” is emphasized throughout the remaining three sessions. Eight and nine provide an opportunity to work once again with the upper an lower body and provide more support and balance. The tenth works on the whole body. It smooths out the surface layers and addresses any final restrictions in the body.